What is the difference between Revit 2015 R2, and Revit 2015 UR2? If you haven’t looked at the updates released for Revit (or Sundial), there could be some confusion between Revit 2015 R2 (Build: 20140905_0730), and Revit 2015 Update Release 2 (UR2) (Build: 20140323_1530). If you look on the Revit download page, you should see that the latest 2015 update available is Update Release 4 (released 21,09,2014). 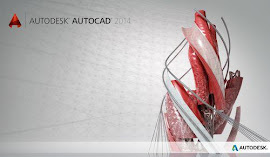 If you look on the Subscription Center, you will find Autodesk Revit 2015 R2 (released 17,09,2014). R2 includes all of the updates included in Update Release 4 (and after installing will show Update Release 4 in the About Revit dialog), but also has added functionality available only to Autodesk Maintenance and Desktop Subscription customers. Note: You cannot install both UR4 and R2. Additionally, if you inadvertently install UR4, and later realize that you want to load R2, you will need to uninstall Revit, reinstall, and then install R2. Additional Note: As mentioned in the installation readme for UR4 (and R2) the update requires either the initial release of Autodesk Revit 2015 (build: 20140223_1515) or Autodesk Revit 2015 Update Release 3 (build: 20140606_1530). If UR1 or UR2 is installed, you will need to install UR3 prior to installing R2 or UR4.